Great layout and I used the same stamp set and some of the same other products. Here I used the in color Tranquil Tide. I used the acetate foil sheets, a white vellum like piece and a piece of the Picture Perfect suite DSP. The stamp set is the Happy Celebrations set which will be retiring on May 31st. I highly recommend this set with it’s large greetings. Order now while supplies last. I also used white accents on the card. 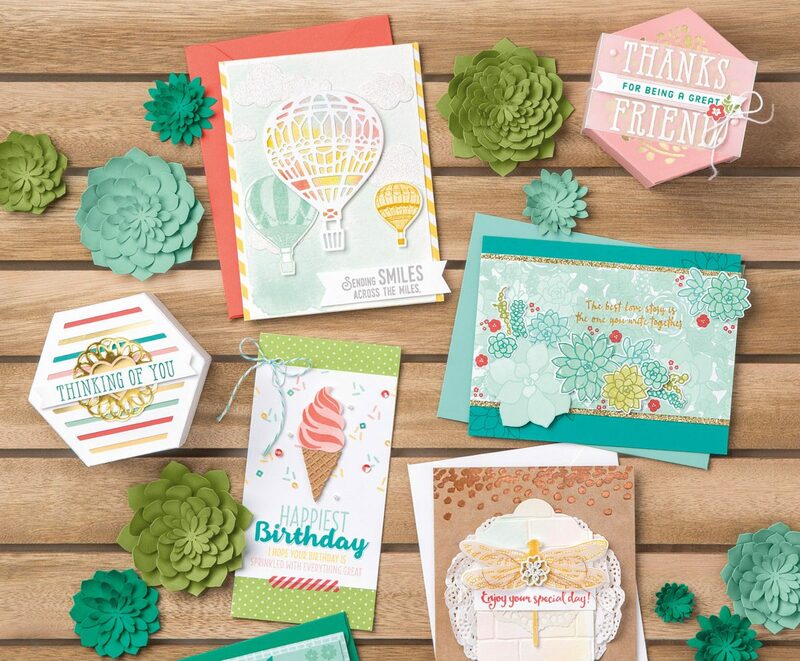 If you would like to order any products, please go to my online store at darleneseitz.stampinup.net. The current hostes code is XDABTPRW. Please use in all online orders under $150, and receive a free gift (orders over $150. Also receive a free gift). CURRENT HOSTESS CODE is XDABTPRW. Hello, sorry I haven’t posted lately. Things are very hectic right now. Here is this week’s card and the card cased from the annual catalog. I think this design is great and can be used with most sets. I made some minor changes on my card. I used the Eastern Place Suite items. The Specialty Designer Series Paper, which is still available in the current annual catalog until May 31; the Eastern Beauty Stamp Set which will carry over into the new catalog. I used the stickers also retiring. For the card base, I used Dapper Denim (retiring), Lemon Lime Twist and Very Vanilla. The embossing folder I used is the Quilt Top. This is a great and versatile suite and I am sorry to see some of the items retire. However, the stamp set and dies will be available but not as a bundle. There are many new exciting products on there way. Don’t miss out on these great products that are retiring and available till May 31st or till supplies last. Thank you for checking out my blog post and happy crafting.